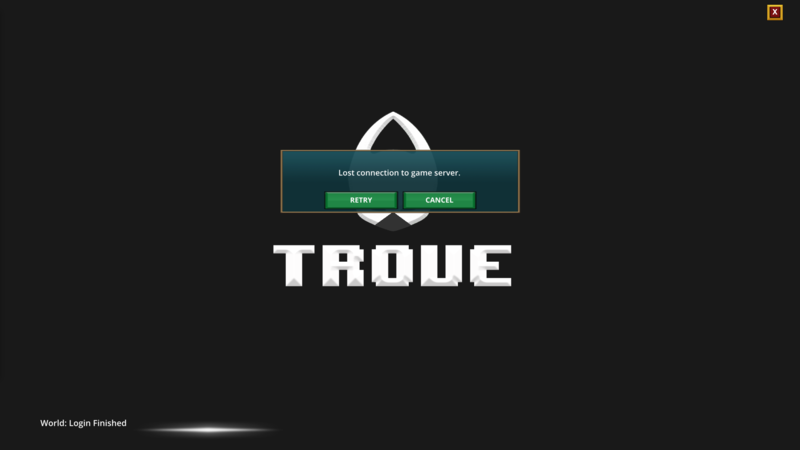 Loading screen stuck on Entering World 0% most of the time especially trying to get any hub either geode or trove. We had this issue for like 3 days already. Can you guys make some effort and FIX this issue ASAP?! It is annoying AF and stealing our time for nothing. well I can login which is nice but can't really do anything else. Been trying to open my hatched eggs for about 10-15 mins now, just can't get into Geode hub. Not even trying to farm or something like that won't work anyway. then Entering world 0% doing the 15 + mins and timing out. Whilst THAT issue might be solved for some people, I've noticed several (**** ton) of disconnects today on EU while trying to run ST's. Every now and then i DC while trying to go through a portal leading to a new floor. This issue stopped the moment i switched to NA. Now, given I haven't tried playing on EU since this latest update.. i am still hesitant to switching back only to be met with even more frustration and inner cuss-words. To say the least, at a breaking point to play this game with it's current state in instability. No, i'm not trying to rent. Just a minor outlet and heads up for you to look into..
Give it a try since the update and let us know if the issues persist. Keep in mind that we mentioned in the OP that this fix was specific to a recent issue that arose for our EU data center. Monday is still our busiest day by a huge margin and there will likely continue to be longer loading times for new worlds (especially Shadow Towers) during out busiest hours. Loading times per say wasn't an issue for me today, it's more that i seem to face this D/C problem too often while playing on EU. NA seem to cause me less connectivity issues. It happens, just much more rarely. Also worth mentioning this problem mostly occur while switching worlds/interacting with portals. I noticed that at least some of the problems seem to be account specific. My main account (playing via EU) lost connection to the server during some loading screen. When trying to close the game and restart it, it kept saying there was no connection to the authentication server. So I swapped to NA, got past the Authentication server, but got stuck on "World: Login". Restarting several times did not help. Tried swapping back to EU and back to NA again, didn't seem to help either. I tried to log into my alt (NA server) and it works perfectly fine. So back to my main, still getting stuck on "World: Login". Alt no issues at all. Main has been stuck for 15 mins now. I managed to get logged in once, but got stuck again on "World: Login" on the first change of worlds. Alt still no problems. Since I'm logging into my main and alt account at the same time from the same device, I'm pretty sure it's not my own internet or Windows version or whatever.